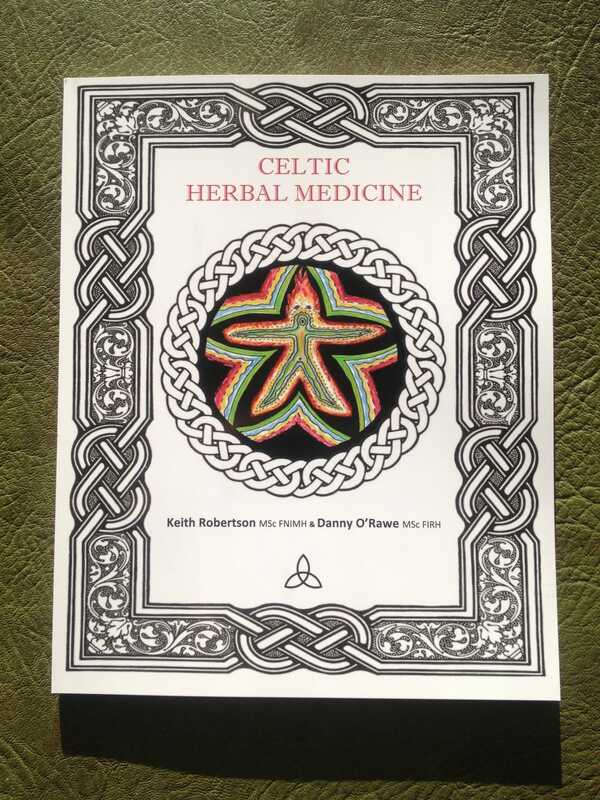 This beautiful 100 page A4 book is all about Celtic Herbal Medicine and has been written by Keith Robertson MSc FNIMH & Danny O’Rawe MSc FIRH. Get your copy in full colour and printed with eco-friendly paper and ink, it has been published in house so they are being sold at cost (any extra donations very welcome for future projects) for £15 + £3.50 P&P in UK, £5 P&P Europe and £7.50 Worldwide or £12.50 Worldwide tracked and signed. If you use the Paypal button the School will be charged 3.5% of that sum – alternatively payment can be made by PayPal to my e-mail keith AT herbalmedicine.org.uk (try using the friends and family option if available and no one gets charged) Please send us your mailing address and please ensure the full amount arrives in GBP. 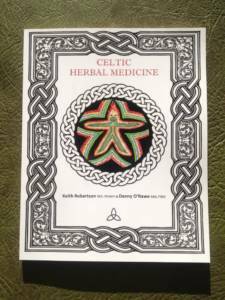 Celtic Herbal Medicine is an attempt to encourage a return to the holistic and elemental aspects of the Western Herbal Tradition. Although the origins of Western Herbal Medicine stem from ancient Greece, there have always been other influences. The Celts are a historically curious loose confederation of tribes who once dominated Europe, and hitherto have been unexplored in regards to their herbal tradition. There are two broad areas which are applicable to our research – the early Celtic period ranging approximately from 500 BCE – 500 CE; and the modern Celtic Period from the 6th century to modern times. The early period is problematic because the Celts wrote nothing down, and information is scant and fragmentary. The later period is richer, and texts are available, however here we find Greek humoral medicine is the dominant influence. Our work concentrates on a reading of the philosophical and cultural idiosyncrasies of the early period because it proposes that plant knowledge comes from direct experience of and immersion within the Natural world. This reading tallies with our own experiences of using organoleptics, contemplation and entrainment with plants as a means to gain practical clinical knowledge. From this position of natural philosophy, we move away from the humoral medicine of the later Celtic period because we find it too regimented and linear, and lean into a more simplified approach of using the classical elements as a framework for pattern recognition which emphasizes the psycho-emotional underpinning of many disease processes, but which we think has unfortunately disappeared from modern readings of holism. This primer documents the work we have done so far, and we trust that herbalists, students and researchers will find it useful.